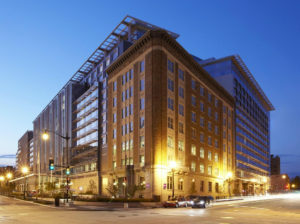 The 2019 United States Conference on AIDS (USCA) will be held at the Marriott Marquis in Washington, DC. Rates: The conference has negotiated discounted rates for registered conference attendees. You must submit a paid USCA registration first to be able to make a hotel registration. Your confirmation email will include a link to make a reservation at the hotel. Please do not contact the hotel directly as the Marriott Marquis Washington DC will only reserve rooms for registered attendees that have been confirmed by NMAC.